Stoppin in with a clean and simple card using one of the new dies from the Spellbinders Small Die of the Month. This month's set of dies is so versatile for tags or cards. 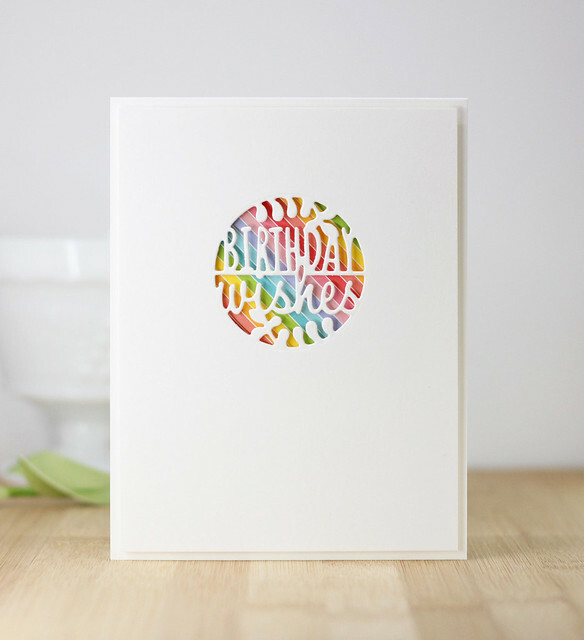 There are adorable little details included but today, I used just one of the dies to create this card. This one was super easy! 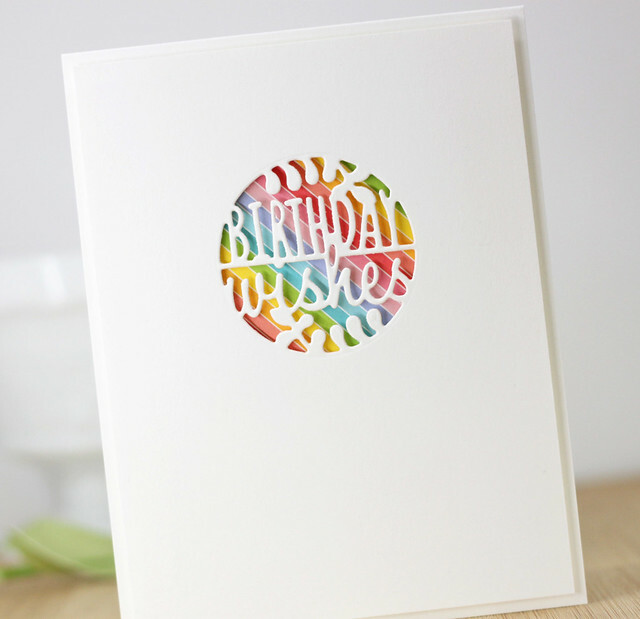 I use the Birthday Wishes circle die and die cut it right out of the middle of a white card panel. I added foam tape to the back and then layered a piece of rainbow paper to create that window. I added the front panel to a white card base to keep it simple! Head on over to Spellbinders to check out the Die of the Month Clubs they have to offer. The rainbow stripes behind the die opening are perfect! This is cute! Really cute card, Laurie! I love the rainbow of colors peeking through the circle...so sweet!